On the educational tour, one may be lucky enough to spot some of the local wildlife. Animals to be seen include the dwarf mongoose, vervet monkey, rainbow skink and some of the 243 bird species found in the Garden. Tour routes differ according to the group’s requests. Furthermore tours could be adapted to the group’s schedule. The educational tour duration is between one and two-and-a-half hours. Visitors are welcome to enjoy the Garden after the tour. A picnic basket is permitted, or alternatively one may purchase refreshments from our shop, tea garden or restaurant. Educational tours for schools should be arranged with the Biodiversity Education and Empowerment Centre at 013 752 6504. Educational tour fee: R300 00 per education officer plus normal entrance fees. Minimum amount of people per tour is 10, while a maximum of 25 people are allowed per guide. Additional education officers will be at charge. Book in advance to avoid disappointment as we work with part-time education officers. NB: Visitors who are interested in walking the Riverside Trail should please inform staff at the Garden’s entrance to ensure their safety. 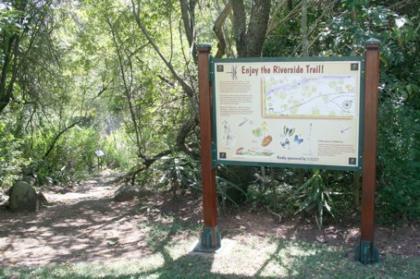 The Riverside Trail is a self-guided trail, however a trail booklet is available in English, Afrikaans and siSwati and is sold at the Garden’s entrances at R5.00 a copy. The Riverside Trail booklet interprets the biodiversity and features at nine marked sites along the trail. The Trail goes through the undisturbed part of the Garden and stretches over 1 km. 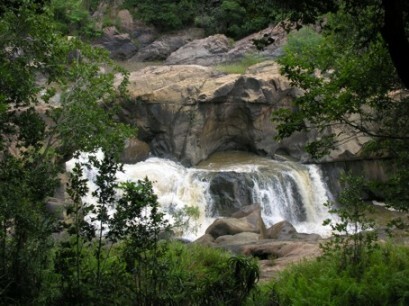 It descends to the banks of the Crocodile River and ends up back in the Garden, going past 140 plant species along the way. Birds that can be spotted along the trail include the African Finfoot, Pied Wagtail and Malachite Kingfisher. 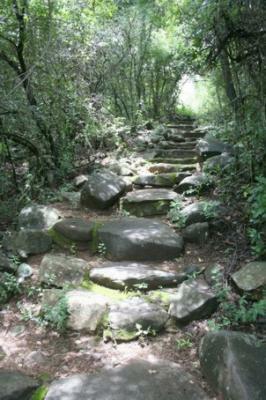 We advise senior citizens or persons that have difficulty walking not to attempt the trail. Normal Garden entrance fees apply.